Oppo Official Store now up in Shopee PH. 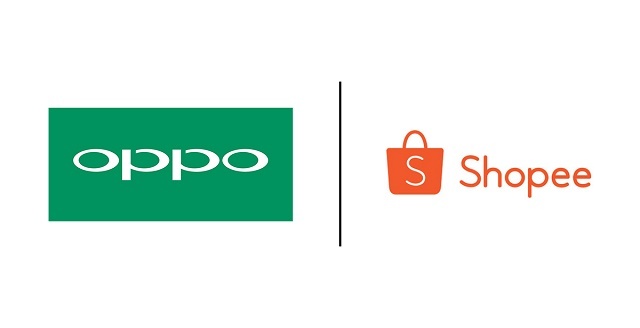 Oppo partners with Shopee, the fastest growing online shopping platform in the Philippines. The partnership covers the popular e-commerce website's listing of Oppo products. Likewise, this will also allow Oppo customers to avail free shipping nationwide. On top of that, the smartphone company's listings will also have a cash on delivery payment option, which is a major deal-maker for the budding online store. Now on its second year, Shopee has gained a significant user base due to its unique approach in online shopping and transactions. It now offers a wider range of brands and products for customers nationwide. 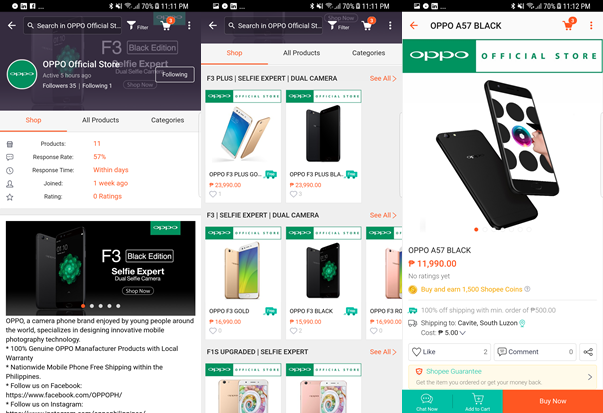 Oppo's official store on Shopee will include a complete lineup of the company's product portfolio. This covers the latest F3 series of smartphones (Oppo F3 and F3 Plus), the best-selling F1s and the A series (Oppo A57, A39 and A37). Shopee also highlights its Shopee Guarantee program, which protects both buyers and sellers as it holds payments in escrow until buyers receive their orders. Only then will the payment be released to the seller -- this makes buying online safer and hassle-free. You can now the Oppo Official Store in Shopee.